SMSL SAP-8. Elegant Class A sound on a budget. 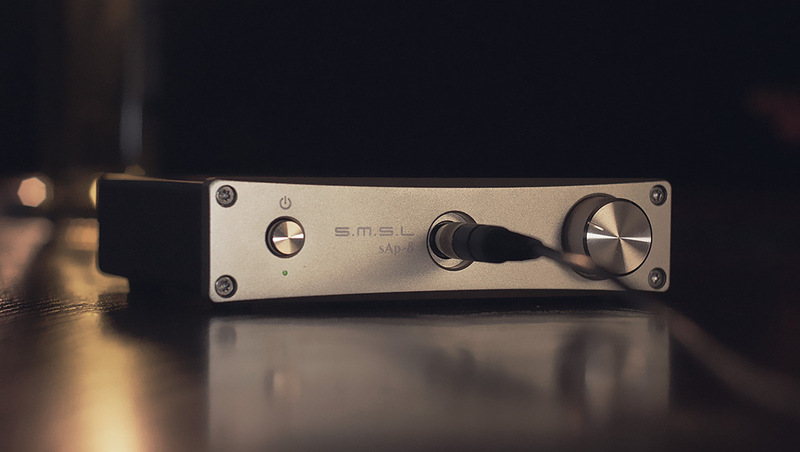 SMSL SAP8 is one of those more underestimated and over looked amplifiers from SMSL as most people goes for more known SAP VI or for the adorable big powered SAP II. This amplifier was one of the first ones featuring balanced inputs from SMSL. But what is more unique in comparison with its rivals is that it is a Class A amplifier headphone amplifier. That is what attracted me and has made my decision to do a review of this quite unique amplifier. When you do some research SMSL as a brand has built its reputation on on-line forums quite well thanks to their affordable products which are aimed for average consumers looking for HIFI components with a good value for their money. And the Anniversary 6th generation of this DAC goes in line with their idea to make HIFI products based on superior materials and keep updating it as technology goes but keeping the price of this DAC as it was with the first generation of this DAC firstly built in 2009.
sAp8 is quite overlooked due its more powerful rivals. 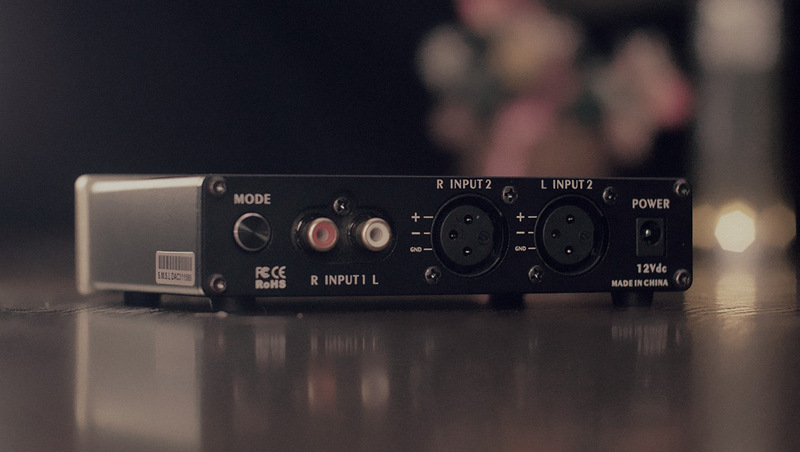 It features RCA unbalanced and also balanced XLR input but you will not be buying it for this feature. In this department this amplifier doesn’t differ from other SMSL products I have tried. The feel from its build is solid and the quality is pleasing. Well crafted. All is lined up well. No gabs. It shines in its simplicity. Design wise it slightly differs from its SMSL family. But still all is metal. The body finish is smooth, black painted. No texture. The front panel on the other hand is in a metallic paint and the volume knob as well as the ON/OFF switch have a crafted circular texture finish. I need to admit it has its elegance when you look at it from the front as there is a slight curve from the top and bottom which I personally like. SMSL offers three color variants for this product you can choose from. Black, Silver and Gold. But the body is always in a black color. I think the gold one just pronounces what this is about from my point of view at its best and it’s not that kind of shiny gold which you would feel too much enhanced and cheap. Headphone amplifier has one purpose in my thinking. Deliver the power and drive your headphones to volume level you desire. Even that this amplifier has besides the usual balanced RCA input also unbalanced input I don’t think most people will buy it because of it. It is more about how it’s built and for its sounds signature. But lets go back to what it features on the back. There is already mentioned XLR balanced input and unbalanced RCA input and a mode/input button which switches between them. On the front you have an ON/OFF button with LED indicator bellow (red when it’s OFF and green when it’s ON). In the middle is a full sized headphone jack which is dived deeper in the body of the amplifier. And there is obviously a volume knob which is very smooth but analog one. Inside there is an Op amp(s) plus Stereo triod which due the manufacturer maintains the characteristic of a chip amplifier with a low distortion and high signal to noise ratio and all together delivers that a soft Class A sound. Potenciometer is TOCOS and I didn’t realize any balance micro delays between the channels as is usual for analog potentiometers soon or later of its life. This amplifier is supplied with 12V 1.A DC adapter which is not a third party Chinese adapter but branded by SMSL as they build power adapters for their products themselves. For this amplifier particularly would be worth it to try a better adapter / linear power supply which I believe would move up as bit and improve even more the sound it produces but unfortunately I didn’t have a chance to try any during a test. Front panel has a metallic paint and shines in its simplicity. Back panel features balanced and unbalanced input and an input switch. I tested both balanced and unbalanced sources/inputs and there was no difference between the power / gain delivery through these inputs as sometimes some amplifiers with both balanced and unbalanced inputs deliver more power via balanced ones. This is a class A amplifier so I let it burn in for some time before judging anything about its sound and I gave it a week of listening before I started making this review. Every Class A amplifier needs to warm up first every time before it delivers its real potential to your ears and it was also every listening the case here. But I didn’t notice any overheating even during long listening sessions. This amplifier gets warm but not too much you would need to worry about. The sound signature was to my ears really as SMSL says “smooth”, clean and very neutral with a warm touch to it which I believe takes care about the smoothness. I paired the amplifier with variety of DACs. I had available in the time of testing Sanskrit 6th and Sabaj DA2 – SMSL IDEA, Shiit Modi2 and from headphones I used AKG 702, Audio-Technica M40x and DT990 (250 Ohms). 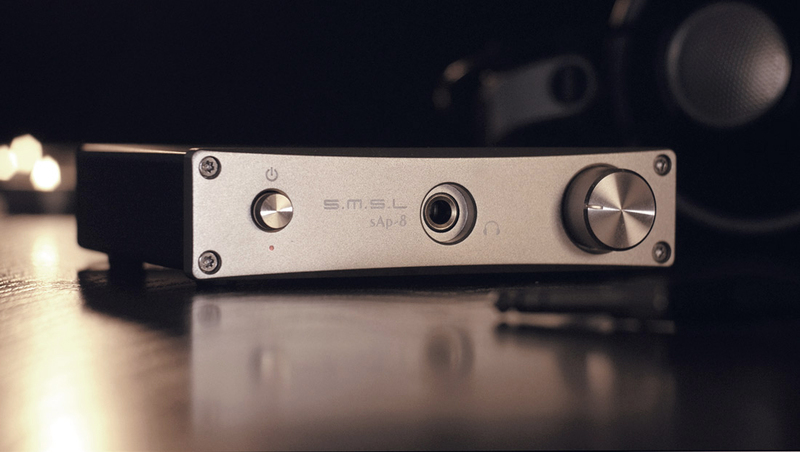 SMSL sAp-8 is an amplifier you buy for its clean soft sound signature. Not for its power or balanced input. The power delivery should be clean and the amplifier should always, at least in my opinion be in your mind only when you want to change the volume. And this amplifier is exactly like that. It does not add to the music you are listening to anything extra and it does not take anything from it. I have read one opinion of one person on some forum telling and misleading people that this amplifiers takes highs from the sound and that is why he prefers SAP II instead. I have to say it is not true. It all depends with what you pair it with as always. Know your equipment and use its sound signature to combine them well to your desire. For example when I paired this amplifier with Sanskrit 6th and AKG K702 what I got was an enhancement of the highs because Sanskrit is colder and clinical plus 702s are known for itheir highs. But this amplifier is neutral and clean to my ears. The ideal combination for me from all I could combine it with was SMSL IDEA (cold and bright due its Sabre chip), this amplifier and K702s and it sounded amazingly clean and detailed without surprisingly any overwhelming impact on highs. The power is here the thing I am a bit pity about. This is not a power house. And it is not even intended to. I understand that. But it means this amplifier is not for everyone. For AKG’s K702 which are only 62 ohms but well known they need more power than expected to sound as they really can to reach its potential I had enough power to drive them loud with this amplifier’s at 10 o’clock of its volume knob. And super loud at 12 o’clock. But any headphones above 100 ohms will suffer from not getting loud enough. 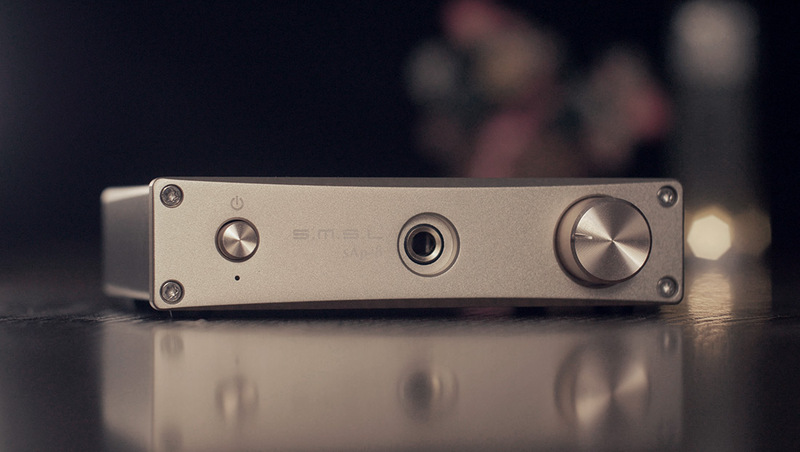 If you are looking for a clean and neutral sounding headphone amplifier and you don’t have hard to drive headphones you will be happy with this amplifier. I highly recommend it. Don’t buy this amplifier for it’s balanced inputs but for the sound it produces. Buy it for its elegant clean, slightly warm sound you will without doubts fall in love with especially if you like acoustic vocal music.